In 2008 Follicular Unit Extraction (FUE) comprised 10.8% of all hair restoration surgery procedures performed by ISHRS members. 1 Despite its increasing popularity there is no dominant method utilized to perform FUE. For the vast majority of physicians, however many questions remain. How do we approach the donor area ? How do we harvest the grafts? With the many instruments on the market(Table 1) what do we choose to harvest the grafts? What is an acceptable degree of transection? What should a graft look like? What are the minimum requirements to grow hair? What is the yield with FUE? What complications might occur? Are the results as good as with strip surgery? Many of these questions are discussed partially earlier in this text. However, in an effort to add clarity, it is of value to review and elaborate on the literature to-date (Oct. 2010).. The Omingraft (as it is known in Asia) or Neograft (as it is known in the USA) is the most expensive mechanically powered method of FUE. This is a rotating punch tool with suction. 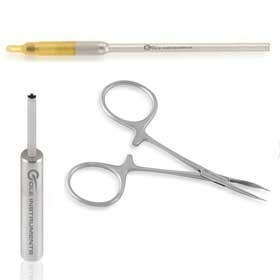 A somewhat similar device was previously called the Calvitron; it gained very little popularity for extracting and re-implanting 4mm “standard” grafts. This machine offers suction that may help stabalize the graft during the coring process though the value of suction remains unproven. There are very few transection rate studies with the Omnigraft, each involving a small number of patients and there are few published results. There are no published results or transection rate studies with the Neograft. This machine has a hefty price—somewhere between $84,000US and $130,000US based on reports that I have heard, though the price appears to be coming down, and they are doing a considerable amount of marketing for the physicians who own the machine. This is a device that rotates with downward pressure on its handle. The punch rotates back to the home position when pressure is released. It is a very simple instrument with the same mechanism as a hand drill. 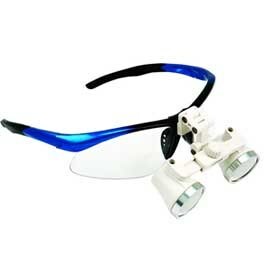 It has 1 mm spacers that allow a depth adjustment of between 2 and 6 mm. Some physicians feel this device minimizes the deviation of the coring path and decreases the transection rate over manual methods. I do not agree with this assessment.2 It does offer reduction in repetitive stress injuries for physicians, however. Norman Cohen attempted to patent a device similar to this.3 There are no published transection rates or results with this device. The FUExtractor is made by LeadM Corporation. Pascal Boudjema originally conceived it.4 In 2008 the FUExtractor became the first commercially available device to offer an oscillating motion. There have been no published transection rates or results with this device. The speeds range from 1 to 8 rpm. The arc has three set points, 90 degrees, 270 degrees, and 540 degrees. There are no transection rate studies or published results with this device. Alan Feller introduced this oscillating motion device in 2009 along with the internal relief Feller punch5. There are no studies evaluating the transection rate and no published results with this device. The author demonstrated his first oscillating extractor in May 2006,6 and I continue to study multiple parameters with an emphasis on a reduced transection rate. The first three oscillating motion extractors had unacceptably high transection rates ranging from 1% to 11%, which were unpublished. Due to the lack of consistency as compared to manual methods, the author preferred the latter. More recently, I improved the overall function to include oscillation, rotation, and translocation and am continuing to study the speed, transection rates and results with the goal of making the latest version commercially available. There were no published transection rates or results with these devices until now. This is a rotating device using a dull punch. This is a one step version of the dull punch Safe System. This is a rotary hand engine and hand piece that Dr. Robert True uses. He inserts punches from Cole Instruments. There are multiple handles on the market, which accept a variety of 303 stainless steel punches with and without a titanium nitride (TIN) coating. The TIN coating helps to improve the life of the cutting edge. These punches lack the degree of sharpness that modified hardened steel punches posses. They are perhaps the most popular of all the sharp punches with physicians. The punches range between 0.6 mm up to 1.5 mm in diameter depending on physician preference. These punches have a razor sharp edge that minimizes friction as the punch enters the skin. This results in a reduced external force and a lower reactive fluid motion of both follicle and skin. They also have a greater internal than external diameter that helps to reduce friction. They are available in multiple sizes. 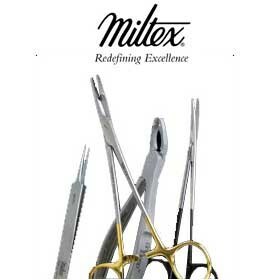 They are manufactured from a hardened stainless steel that helps to strengthen the razor sharp cutting edge. The cutting edge is ideally situated to improve tissue cutting and reduce follicle trauma and the handle is designed to precisely limit depth. This punch decreases the surface area of the cutting surface of the punch to reduce the force required to penetrate the skin. It is generated from hardened steel through a complex process. Its contours reduce the surface area in contact with the cutting edge at any given moment and thus reduce cutting friction (Figure 2) Photo needed. It also has a thin wall and a larger internal diameter. Both of these variables can result in decreased operator forces, —which in turn can decrease the risk of follicle transection. I call this punch the Serrounded punch. I prefer the contoured punch for mechanical rotation and the standard CI punch for manual extraction. Often times the standard CI punch seems to work better with oscillation, but sometimes the Serrounded punch works well with oscillation. Warning: It is important to note that the internal diameters of punches vary, depending on the arbitrary discretion of the manufacturer and the vendor. Unfortunately, some manufacturers and vendors label their punches with incorrect internal diameters. The analysis of tissue cutting in hair transplant surgery is very complex especially a follicular isolation procedure. The complexity results mainly because of the properties of the tissue material that is composed of layers with different modulus and the elastoplastic properties of the layers. The mechanical characteristics of homogeneous materials are not applicable to skin. Skin has no unique, single Young’s modulus, nor shear modulus because such properties for skin vary depending on the strain applied. Typically biological materials have stress-strain diagrams with an elastic part which can be linear or nonlinear. Besides, the mode of load application that is time dependent and with a round punch acting at some angle to the surface of the tissue is very complex. The bevel on the punch also adds to the complexity of the cutting procedure. One of the most simple approaches may be to simplify the properties and analyze some individual interactions one at a time like the interaction of the punch and tissue at initial contact. If we consider a rotating or oscillating punch, a torque is applied to the punch by hand or by a mechanical means. Torque is basically the rotational equivalent of a force. Just as a force can do work by being applied through some distance, torque can only do work by being applied through some angle. The rpm is simply the rate at which that angle changes or it is the rate of rotation. In the case of a motor power, the torque results from the motor horsepower and the speed. Where T = motor torque (in lb-ft), k= constant, HP = motor horsepower and n = speed of motor shaft in rpm. Where T= Torque in lb-ft, Ft = tangential force and R= the moment arm (punch radius). The tangential force at the punch cutting edge thus can be determined from the two relations. Just as a force is a push or a pull, a torque can be thought of as a twist. During dissection, a tangential force is applied on the contact surface and an axial force is applied in the direction of the axis of the punch. The tangential force results from a torque applied to the rotating punch. The torque on the punch produces a force at the peripheral point of the punch. The direction of the force depends on the direction of rotation of the punch. At the initial contact of the punch to the tissue, the punch applies a force in the direction of rotation and the tissue applies resistance to the rotation. In such a case the following may take place. Due to the friction between the punch edge and the tissue surface, a friction force opposing the applied force results. The friction force depends on the applied tangential force, normal or axial force and the friction coefficient between the two surfaces. -If the applied force exceeds the friction or resistance force, either the tissue is pulled in the direction of rotation or the punch tends to rotate over the tissue in the direction of rotation. -If the punch is prevented from rolling, the force results in a shear stress in the tissue. A Shear stress is a stress state where the stress is parallel to the surface of the material. When the shear stress developed exceeds the shear strength of the tissue, the tissue cracks or fails. Though this is a basic fact, it is a very simplistic approach because the resulting stresses and the property of the material at contact are not so simple. -The shear stress τ developed is directly proportional to the tangential force Ft and inversely proportional to the area of contact A (τ = Ft/A). If the area is small as in the case of a sharp punch, the resulting shear stress is higher. Thus, the shear strength of the tissue is exceeded quicker and the tissue fails or is cut quicker. In a case of a dull punch, the contact area is larger resulting in lower stress. To exceed the shear strength of the tissue, a higher force is needed. A higher force means a higher torque. A punch with a higher torque results in a higher twist or distortion of the tissue and is also difficult to control and to center about the follicle axis. This is one of the main causes of transection. Removal of follicular units by FUE requires an understanding of fluid dynamics and the physics involved in the removal of the grafts. A full understanding of these variables is beyond the scope of this editorial or text. A force on the skin will result in a reaction by both the layers of the skin and the hair follicle(s) comprising a follicular unit. The cutting of skin with a dull instrument requires far more force than does cutting with a sharp instrument. It is actually incorrect to call the Harris punch a dull punch. It is rather a punch that is not very sharp or a punch that is incompletely dull. It will cut the skin with far less force than a completely dull instrument and it will transect hair follicles. The author considers this device potentially far more harmful to the hair follicles than a sharp punch because it requires significant mechanical energy to cut the skin, it is not dull, and the excessive force limits manual control. It is ridiculous to consider that any punch driven by a force great enough to cut epidermis and dermis will not also cut a hair follicle. Based on my experience it is far easier to control a very sharp punch, which is paramount to the effort to minimize transection in FUE. Harris now claims that his dull powered punch is capable of cutting the dermis and epidermis, yet somehow wants us to believe that the far more delicate dermal sheath somehow avoids injury and hairs avoid transection. More studies on survival rates are encouraged. Based on the small proportion of FUE cases as compared to strip harvest patients, the limited number of survival studies to date with FUE is expected. In reality there are few survival rate studies for either group. The reason for so few studies most likely is related to the apparently good results achieved by both methods in the various operators’ hands, along with the myriad of difficulties associated with survival rate studies. One only need look at the results to determine if growth was as anticipated. The author’s opinion is that the hair growth from his grafts obtained by FUE is better than the growth from his grafts obtained by strip surgery. While the author had some FUE cases there were not as good as he predicted 5 to 7 years ago, as previously noted, I have found that improvement in punch design and varying the size of the punch in select cases has resulted in consistently excellent results. In a side by side comparison of 1000 grafts on each side of grafts obtained by FUE and by strip method, Dr. Wolf noted that the 3 month result was noticeably better on the FUE side.44 Dr. Wolf used the Power Cole Isolation Device to harvest grafts for the FUE side of this study. When possible grafts should contain intact follicular groups, as vertically split groups have shown reduced yields in a study and in my experience.13 (No comparable vertically split follicular group hair survival studies have been done for hairs obtained via FUE.) Grafts should also ideally contain follicles with intact and full investing external and internal dermal sheaths It is unclear whether slicing the follicular sheath longitudinally with the punch during its insertion will affect the yield or diameter of follicles. There is no proof that investing adipose tissue is necessary for good graft hair survival. There are far more follicular transection rate studies for various methods of FUE than with strip surgery. Unfortunately, the transection rate of the different methods of FUE may be operator, experience, and instrument dependent. 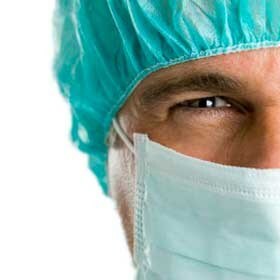 I have seen physicians who simply lack the hand eye coordination necessary to avoid high transection rates regardless of instrumentation, magnification, or technique. Furthermore, both Harris and the author note a reduction in transection rates over time, which could result from improvements in technique or instrumentation. There are inherent flaws with determining transection rates with strip surgery. You are removing several thousand hairs at once with a strip. An accurate transection rate depends on an accurate hair count in the strip. As an example, Devroye and I counted all the hairs in slivers created from donor strips obtained with a multi-blade handle (used by another physician) while attending Arturo Sandoval’s Mexico meeting in 2000. We counted 2085 hairs, but when the technicians were asked to count the hairs in the grafts they produced from the strip, they found only 1,398 hairs (33% less than was in the slivers)! The technicians stated they had not counted the transected hairs. Certainly two possibilities exist: They either failed to count all the hairs or they ignored the transected hairs and discarded them. In comparison, my mean CIT transection rate is lower than mean strip harvesting transection rates published to date.9 There is one advantage to transection with FUE in general. The transected follicles are either left in the donor area or reimplanted. As noted earlier, studies by Kim,19 Mayer,19 Limmer,19 Swinehart,19 Martinick,19 Reed,19 and Hwang20 have shown that transected follicles have the capacity to re-grow, though the percentage may be lower than 30% and the follicular diameter may be reduced. Dr. Yamamoto defined the completely transected graft rate (CTGR) as the number of grafts with complete follicle transection divided by the total number of grafts. He found a correlation between the CTGR and the follicle transection rate (FTR) in 24 cases averaging 330 grafts each.23 A CTGR of 10%, 30%, and 50% corresponded to a FTR of more than 30%, 50%, 70% respectively. Therefore, he suggested that the CTGR be kept below 10% to achieve an acceptable transection rate. Ideally, the CTGR should be 0% to achieve a transection rate around 10% and a transection rate close to strip harvesting. He evaluated the mechanical Omnigraft in 100 Japanese patients. He found that one-fourth had a CTGR between 0 and 10%, approximately one-half had CTGR between 10-30%, and one fourth had CTGR above 30%. Dr. Nagai from Japan noted that the FUE follicle transection rate for scalp hair was usually less than 20%.24 The transection rate for his own leg hairs was 74% and 55% in two samples though he had limited experience in body hair extractions. Dr. Onda et al had a transection rate of 5.4% (range 3.5% - 7.7%) with the omnigraft power FUE and 17.3% by manual FUE.25 However, he studied only 10 patients. He also noted that it took him 6 minutes to harvest 100 grafts with the power method of FUE and 14.2 minutes to harvest 100 grafts by the manual FUE (average of 2.93 hairs per graft!). He used a 1.00 mm and a 1.25 mm punch. In 2009 I observed an Omnigraft procedure in Korea in the hands of an experienced physician. The rate of extraction was 228 grafts per hour. The follicle transection rate was 12.7%. However, this was calculated only from the grafts that were placed in the petri dish and at least several of them contained only transected follicles and were not placed in the petri dish. Therefore, the true transection rate was definitely higher. The calculated density was 1.88 hair per graft. In 2004 Dr. Harris published transection rate data from a 37 patient study using his two-step SAFE system in the September/October issue of the Hair Transplant Forum International* and again later in 2006 Journal of Dermatologic Surgery. 29 In the first publication he initially passed a sharp punch to a depth of 01.3 to 01.5 mm parallel to the direction of hair growth. He followed this with a less sharp punch (one that he called “dull”) to a depth of 4 to 5 mm (in his second publication of this study (2006) he modified the description of his methodology to a 0.3 mm to 0.5 mm depth with the sharp punch).30 He reported an overall transection rate of 5.6% in both articles. The practical maximal rate of extraction was 400 grafts per hour. Most of the grafts were taken from the occipital area, which he noted was the easiest area from which to extract FU. In the 2006 July/August issue of the Forum, Dr. Mark S. Distefano reported that Dr. Harris had a FUE transection rate below 2%, at the 2006 ISHRS regional workshop in Colorado.31 In this text Harris notes his transection rates can be as low as 2%. Dr. Harris has created a power version of his SAFE system. The power version can typically cut between 500 to 700 grafts per hour. He initially noted in a 10 patient study that the transection rate was 3.6% and the device produced 2.58 hairs per graft32 while his transection rate at the 2010 OLSW in Orlando was only 1.8%.34 Even though he feels his system is easy to use, there are some definite things that are critical to the success of the extractions, such as applying skin traction in the direction opposite the direction of hair emergence from the scalp and setting the proper drill speed (fast enough to get through the skin, yet slow enough to be able to hear the drill slow down during its penetration). He often finds that people performing FUE are not doing these two things when he visits them for training. More recently, he reported that his “workhorse” is the 0.9 mm dull tip and over the last 29 cases with 23,690 grafts extracted the average transection rate was 10.3% with an average of 2.42 hairs/graft33. The average transection rate for 0.9 and 1 mm punches combined in the last 110 cases (99,811 grafts including body hair) was 9.9% with 2.48 hairs per graft (exclusive of body hair). He estimated that he sets the RPM at between 1600 to 3300 RPM. The rotational speed varies depending on the patient and sometimes the location on the scalp. His average extraction rate is 683 grafts/ hour with the power system. His maximal extraction rate was 958 grafts/hour in a 1602 graft case with a transection rate of 10.5% and 2.5 hairs/graft. Sara Wasserbauer has an average transection rate of 10% with the Harris Safe Power device when assessing all of her patients.35 With straight hair, her mean transection rate is 6% with a range from 3% to 8%. With hair that has a curl to it, her rate is 17-23%.35 She did 25 cases in her study with a range of 1300 to 1900 grafts. She only tested 20 to 25 grafts from African Americans and found that the transection rate was 20%. Sara Wasserbauer’s cumulative 5-year data using a combination of sharp and dull punches is a 21% transection rate. 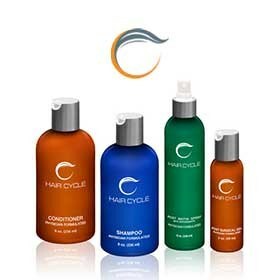 With curl or wave up to 3 inches, her transection rate is 33 to 56%! Dr. Feller had published no data on the Advanced FUE extractor, but he told the author that the transection rate was quite low using his device and the punches that he manufactures. In comparison to the above numbers, the author has performed transection rate studies for many years with his grafts produced by FUE. I call my manual method of FUE the Cole Isolation Technique, (CITä). As noted earlier, in December 2002, I conceived a device that I patented to perform FUE in which I used a manual sharp TIN coated cannula punch (ranging from 0.75 mm to 1.0 mm internal diameter) that also allowed for precise control of depth. In 2003 the manual follicle transection rate was 8%. From 2004 to 2006 it was 5.51%. From 2006 the transection rate was 2.57% and remains under 3% today. The improvement in the transection rate over time was a function of improved punches (described earlier), technique, and variability in punch diameter. The instruments and technique are now in many countries throughout the world with similar low transection rates and consistent results. In the second month of its use, Korean physicians had a transection rate of 4.3% and averaged 2.77 hairs per graft.37 The latter was significantly higher than the reported range of 1.62 to 1.91 hairs per follicular unit noted by the Korean Dermatology Society.38 I use sharp punches ranging from 0.75 mm to 1.25 mm in diameter. The extraction rate for 100 grafts in a 19 patient study using a manual method was 5.64 minutes (correlating to 1064 grafts per hour) with a transection rate of 1.8% and a calculated density of 2.98 hairs per graft. Because such a rate of manual extraction is difficult to maintain over a prolonged period of time, a power version of CIT was developed. An ongoing study, using it in 20 patients thus far, has resulted in a mean extraction rate of 2.94 minutes for 100 grafts, which correlates to 2052 grafts per hour. This rate of extraction is easily maintained. It is too early to make any firm comments on the transection rate/100 grafts yet using the power CIT, though thus far the rate ranges from 0 to 7.5% with an average of 2.14%. I anticipate that the mean transection rate will likely improve with practice over time. In another ongoing study involving 93 patients and 152,771 grafts the mean transection rate was 3.39% and a range of 0% to 13.05% with the power version of CIT. The grafts in this power study average 2.74 hairs per graft. The Artas system has a transection rate hovering around 5%.45 The rate of extraction with this robot is extrapolated to 400 to 500 grafts per hour based on 2 minute evaluations. A rotating punch is the fastest methods of extraction provided you have a very sharp punch. . A rotating punch works best on shallow follicles or follicles that come out with minimal effort, as well as skin that is not rubbery in consistency. Rubbery skin will dull a punch quickly. You want to minimize changes in fluid dynamics. This is why you must use minimal force and a sharp punch. You can extract over 2000 grafts per hour with a sharp rotating punch. If the graft begins to spin inside the punch, the first thing to consider is dropping the RPM and slowing down the incision rate. Always stay as shallow as possible to minimize transection and graft torsion. There are many ways to limit the depth. Dr. True uses spacers that he cuts to a specific depth. I have developed a number of ways to control depth rapidly as required. One problem is that depths can change going from inferior to superior and from mid-line to lateral. This would necessitate a change in spacers. I can set my depths precisely and easily by adjusting my hand piece. Furthermore, the size of follicular groups tends increase toward the midline and in the superior margins of the donor area. This may necessitate a change in punch size. An oscillating punch is better with deep follicles that are firmly rooted in the adipose. Oscillation can also be better with rubbery skin. It is important to set the oscillating speed slow initially until you get a good bite in the skin. Otherwise you may spin off the direction of hair growth. I often use a wide arc initially and then reduce the arc as I penetrate the skin. For example I may set a burst rate of 1500 milliseconds at an arc of 270 degrees to get my bite and then drop the arc to 120 degrees. Reducing the arc decreases the rotation on the tissue and helps keep the follicles in the center of the punch with minimal torsion. I will often start with a low power setting of 15% for a burst of 1000 to 1500 milliseconds to get my bite and then set the computer to increase the power to 25% after this span of time so that I cut quickly into the skin. The fastest you will run an oscillating punch is roughly 100 grafts every 5 minutes to 5 ½ minutes or close to 1000 grafts per hour. These are just examples. Since every patient is different, you need to be able to adjust. Often times you can improve results by adjusting the settings on your instrument. This is not to suggest that you will not occasionally feel the need to use the manual punch to insure the highest quality grafts and the lowest transection rates. The amount of experience one has will affect their rate of extraction and the transection rate. The more experience anyone has with any of these techniques should have a positive affect on both of the transection rate and the extraction rate. I divide my donor area into 14 distinct regions as depicted in figure 9A1-15 (a) on page 258 of this text. It is important to note that the superior borders of boxes 1 and 5 must often be reduced by 1 or 2 cm with individuals predisposed to advanced degrees of vertex loss where the cornet of hair loss, as described by James Arnold, is prone to develop. However, frequently it is possible to expand the extraction area superior to regions 2, 3, 4, 6, 7, and 8. At the same time one must be cautious in extracting from regions 11, and 14 where densities are low and more prone to the complications of overharvesting. In general, one must also be cautious harvesting from all the most inferior regions (9-14) because these areas are prone to retrograde alopecia. Occasionally, one might find the proportion of telogen hairs suddenly increases at the superior margins of regions 1-8 or in regions 9-14. When one notes an increase ratio of telogen hairs in the superior margins of regions 1-8 or in regions 9-14, one must be even more cautious harvesting from the superior margins of the major regions (1-8) and the most inferior regions in their entirety, because this finding frequently prognosticates near term further advancement of MPB. One may harvest anterior to regions 4 and 8 in many instances, but I prefer to leave hair in this area as a reserve supply—as Dr. Unger has frequently recommended. Furthermore, densities often decline substantially with age in these anterior zones and this can create future problems for patients. Dr. Ng has determined that the overall donor area in Chinese patients is approximately 134 square centimeters with a possible addition of 24 sq cm in the temporal areas for a total area of 158 sq cm. 39 He feels the average number of hairs per follicular unit is 1.82 in these patients and that there is a maximum of 3940 follicular units that can be harvested on average before the donor area looks too sparse. He recommends a 1 mm punch for harvesting most FU in this patient population and a 0.8 mm punch for single hair follicles. A 1.2 mm punch is prone to leaving a mottled appearance and is therefore unwise to use. Interestingly, he feels that a strip scar is acceptable to most patients because they want maximal coverage on the caudal scalp as their chief objective. The assumption is that a potential wide strip scar is preferable to sparse or mottled hair in the donor area. There are four ways to prepare the donor area for harvesting: 1) shave the entire donor area. 2) shave small patches between longer hair. 3) trim predominantly the follicular groups that you plan to extract while keeping the remainder of the hair long. I call the latter the non-shaven or C2G (as the patient has “camouflage to go” back to work quickly) method of donor preparation. The fourth method applies only to those with long hair typically below the shoulders and includes a wide shave of the entire traditional donor area while leaving the superior and inferior margins of the fringe hair at its usual long length. The totally shaven method is the easiest and fastest method for extraction. It is particularly well suited for the novice FUE physician. The author does not recommend shaving patches because they thin out patches of hair while leaving the surrounding areas much thicker. This can often lead to patient complaints, as the result can be worse than a strip scar in appearance especially when using the shaven patches to treat a strip scar with FUE grafts. The shaven patches also are the least efficient method and result in the fewest potential number of harvestable grafts. The third technique option in which only the hair in FU to be extracted are clipped short, is the most difficult and requires the greatest degree of preparation, practice, and skill to perform. However, it is the ideal method in many instances because the patient is able to return to his regular routine faster and more discretely without the complications of the shaven patches. Furthermore, C2G allows for near maximal harvesting without shaving the donor area. The author has performed cases in excess of 3500 grafts using C2G. Because of its tremendous advantages to the patient and the physician, it is nevertheless well-worth the effort to develop the skill. The author feels that the C2G method obviates the need for the fourth method, but the latter is useful when a large number of grafts are required in a discretionary manner. The wide shave method should be considered for physicians who are not comfortable preparing the donor area for C2G or harvesting in as visually complex an environment as occurs with C2G. I begin by drawing in the donor regions with a template I developed for ease of marking. (Figure 4) I then measure the donor density in each region so that I may calculate the total number of follicular groups in each region. One may chose to anesthetize a single region at a time or multiple regions at once. I attempt to harvest an equal percentage of grafts from each region so that no single region is over harvested. Similar extraction densities will lead to fewer patient complaints over time. If I am harvesting the maximal number of grafts from a region, I will typically remove up to 25% of the follicular groups from each region. If the total number of grafts is much fewer, I will harvest a small, equal percentage from each region in an irregular fashion from the total donor area. The latter will produce the optimal cosmetic result in the donor region. One can expect to maximally harvest the same number of grafts with FUE as one does with strip surgery. I’ve found that in general I can take between 4500 and 7000 grafts in strip surgery and can do the same with FUE. (In optimal situations, the author has harvested over 9000 grafts from the donor area with FUE.) The total number of grafts might be reduced with patients with donor area scarring because over harvesting can leave donor scars (linear or punctuate) potentially more exposed especially in patients with lower follicular densities and finer hair. Therefore, one must exercise caution when donor scarring exists. When donor area scarring is significant, sometimes the optimal way to proceed is to prepare the donor area in a non-shaven manner prior to extracting. This will allow you to assess the result in pace with the gradual decrease in the donor area hair density. . If the scarring becomes more visible when you follow this routine, you should obviously limit the number of extractions in an effort to improve donor area hair coverage following the procedure. Patients can be especially concerned about a lack of donor area coverage when pre-exisiting strip scars become visible. Some practitioners believe that the maximum number of grafts one may harvest from a donor area is greater when you combine FUE and strip surgery. I feel that patients should have either strip surgery or FUE – not both. When you maximally harvest a donor area for strip surgery, you leave a sparse zone of additional permanent hairs superior and inferior to the strip scar. Often times, patients have slightly wider scars or more than one strip scar when maximally harvested. Patients often need the residual donor area hair to help conceal the strip scars especially when the hair is wet or in windy conditions. Unfortunately, FUE removes some of this supporting hair and increases the potential for scar visibility. FUE allows for harvest of hairs suitable for specialized roles such as finer or coarser hairs as Dr. Harris suggests. The temporal area often looses pigment sooner than the more posterior donor regions. Therefore, the physician should exercise caution in harvesting from these regions. The loss of pigment occurs first in the inferior margins of the temporal area and gradually progresses superiorly. Transplanting grafts from these prone areas to an isolated region on the scalp could result in a circumscribed premature loss of pigment as the patient matures. Extractions with FUE tend to take longer so transplanting to the recipient area should often be carried out in small numbers a little at a time. I recommend anesthetizing from the central region and work gradually out toward the frontal hairline as the day progresses and as the grafts are slowly harvested. If one begins grafting on the hairline and works posteriorly, the patient will often become tachphylactic to the anesthesia as the day wears on. This can make it more difficult to maintain adequate anesthesia. Often I save a nerve block for the end of the day, as this is more effective at the end of a long surgery day than re-anesthetizing the frontal hairline. As Dr. Harris notes the lack of investing adipose tissue makes FUE grafts more fragile and prone to desiccation. Dr. Beehner has shown that grafts with investing adipose are capable of survival after 15 minutes of desiccation.40 There is no existing desiccation study with FUE grafts. I have my assistants put 25 grafts at a time in a cup on their finger filled with storage solution so that they are in a moist environment until the moment they are placed. In my office, care in handling along with proper extraction methods and more hair per graft often produces results that exceed the strip procedures that I had previously carried out. Donor site hypopigmentation is the most common complication of FUE. As with strip scars, it tends to cause little problem for most patients, but some are significantly disturbed by it. Of course, in general, scarring is not a major problem with FUE. It tends to be less with FUE primarily because the volume of tissue that is extracted with FUE is significantly less. (Even though more incision margins are created with FUE that with strip surgery, the incision margins are small and isolated from one another.) Hypopigmentation may be improved but not totally avoided by grafting body hair into the extraction sites. More recently placement of an extracellular matrix known as ACELL has shown promise in eliminating hypopigmentation in the donor area and aiding in the regrowth of hair in the extraction sites in the authors experience. (Figure 5) I am applying the Acell in a hyaluronic acid gel, but delivery remains a concern. Follicular transection is a common complication. Experience, methods, and improvement in instrumentation reduce the frequency of transection based on the aforementioned studies. One advantage to FUE is that transected hairs often are either relocated to the recipient area or left in the donor area with potential survival as reported by Kuelachi11. The survival rate is certainly higher than when transected hair follicles with strip surgery are left on the dissecting table as often occurs. Almost all patients who have undergone strip surgery prior to FUE report that pain is less with FUE, although I can recall one exception who complained that the pain following FUE was significantly greater than with strip surgery. Pain in the donor area does occur after surgery particularly in the first evening though just as in strip surgery, not all patients feel the pain is significant; it is also more common in patients who did not previously undergo a strip procedure. Interestingly, FUE tends to result in greater discomfort in the recipient area during the immediate postoperative phase than in strip surgery. I theorize that the discomfort in the donor area is much less than with strip surgery so the patients tend to focus on discomfort in the recipient area. A nerve block at the end of a procedure can significantly reduce postoperative recipient area discomfort. Paresthesias such as a loss of sensation can occur in the recipient area just as in strip surgery. Donor area paresthesias with FUE are shorter lived than in strip surgery, but common nevertheless. In over 2000 cases of FUE I have not yet seen chronic pain in the donor area, but this could occur. Removal of grafts from the donor area will reduce hair density and donor area coverage. FUE also results in fewer follicular groups so the number of grafts possible from strip surgery will be reduced should the FUE patient later elect to undergo a strip procedure. As previously mentioned removal of follicles with FUE may increase the visibility of prior or future strip scarring. Though I have not witnessed an alteration in hair growth direction from prior FUE, some physicians feel that FUE alters the direction of hair growth. In particular, they claim that the direction of hair growth was altered in patients who had previously undergone FUE such that future strip procedures resulted in increased transection rates. In my hands I have not see any alteration in hair growth direction that interfered with future FUE or strip harvest procedures. Occasionally, patients who choose to wear their hair very short will complain of visible extraction sites. This is more likely with extreme degrees of extraction. Generally, this complication can be overcome by adding a centimeter or more of donor area hair length. One can also place body hair in the extraction sites to treat this complication, but growth of body hair in these sites, though improving the donor area is not always completely successful. Maximal harvesting above 5000 to 7000 grafts can lead to overly sparse hair in the donor area, with an appearance, which is often referred to as “moth eaten”. It is up to the patient and the physician to determine which is aesthetically preferred – a maximally harvested strip donor area or a maximally harvested FUE donor area. A maximally harvested safe donor area may result in a noticeable higher hair density in the non-harvested areas, superior to the harvested ones. Thinning out the superior areas with FUE is the treatment of choice for this complication. The grafts obtained should be relocated either into the harvested region or into the recipient area. The objective is to create as uniform density. One might argue that harvesting outside the traditional permanent zone should be avoided because we owe our patients permanent hair. Dr. Walter Unger has shown that advanced degrees of hair loss are limited in occurrence. There are degrees of certainty based on family history, patient presentation, and age. Furthermore, a sudden change in the percentage of telogen hairs outside Unger’s safe donor area offers a clue of anticipated hair loss progression. Also, not all hair in the “safe” zone is permanent, often thinning in patients who eventually develop advanced degrees of hair loss. Finally, the later loss of some of FUE graft hair was in any case programmed to occur, so the end result is exactly the same. The intuitive argument is that it is better to have more hair in thinning areas and a more equal distribution of hair in the donor area when you are younger because you are going to develop the same result as you age. The physician has an obligation to advise the patient of the potential loss of hair taken from outside Unger’s safe donor area, but has the same obligation with regard to some of the hair within Unger’s “safe” zone that is also not permanent. FUE is very useful to reduce old plugs and eliminate larger multiple hair grafts from the frontal hairline as I initially described in 2003.41 (Figure 6a, and 6b)Often times I use a 1.25 mm to 1.4 mm punch to remove the individual follicular groups depending on the degree of splay with the grafts. Never the less, I attempt to remove them with as small a punch as possible. The direction of hair growth with grafted hair is more variable below the skin than the direction of non-grafted follicles. One must often use a “score and look” approach with suction in order to remove intact follicles and follicular groups. Often times the follicles must be removed individually with the assistance of a needle to help dissect the follicles out. Usually there is very little scarring or hypopigmentation from this technique. The scarring that does remain from the procedure is usually due to the original grafts such as depressed or elevated areas as well as pigment changes. Frequently, it is possible to redistribute the hair from the larger grafts to the donor area scars or to other regions of the scalp. The survival rate of these retransplanted graft hairs is not as good (approximately 40 – 70%) as with naturally occurring follicular groups. Removal of follicular groups from the recipient area can also assist in reduction of ridging as volume is extracted. It is in fact possible to completely reverse a transplant using this technique. FUE in this role results in far less scarring than strip excision or coring out intact plugs with larger trephines. FUE is also very useful in grafting strip scars and often reduces chronic erythema many scars exhibit. (Figure 7a and b). It is important to take the follicular groups from a wide, irregular region of the donor area to relocate to the strip scars so that donor aesthetics are optimal. Use of shaven patches is highly discouraged with grafting donor scars via FUE. Also, avoid extracting from the margins of the strip scars as previous studies have shown that most strip excisions result in the greatest stretch back 1 cm superior and inferior to the wound so hair density is already less at the strip scar margins.42 In addition, one should not graft into the surrounding margins unless there are gaps such as those from a needle puncture or track because you will increase the density further on the scar margins and make the lower grafted density of the strip scar more noticeable. 1. ISHRS Practice Census, 2008. 4. Boudjema P. The FUExtractor System: New Instrumentation to Improve Follicular Unit Extraction, Hair Transplant Forum Int’l, 2006 16(5): 162. 5. Feller A. personal communication, ISHRS meeting, Amsterdam, Holland July 2009. 6. Cole J. Personal Communication with multiple physicians, 5/2006. 7. Harris J. Harris Power Safe System, ISHRS meeting, July 2009. 8. Rassman, B. Personal Communication July 2010.
the 2006 Annual Scientific Meeting of the ISHRS. San Diego, California. 12. Gho C. Hair Multiplication, ISHRS meeting, New York, NY 2004. 13. Beehner, M. Graft Survival, Growth, and Healing Studies.Martinick’s Study of Intact FU vs. Vertically and Horizontally Cut Grafts. In: Hair Transplantation. W.P. Unger and R.M. Shapiro, eds. Marcel Dekker: New York, 2004; 268-270.
strip harvesting. ISHRS Poster Presentation. Puerto Vallarta, Mexico, 2001.
follicles. Dermatol Surg. 2000; 26(4):345-348. 16. Limmer, B. Personal communication 1998. 17. Cooley, J. Personal communication, 1999. 18. Rose, P.T., and R. Shapiro. 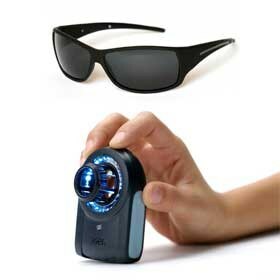 Combining microscope slivering and backlighting and loupe magnification to efficiently produce grafts. In: Hair Transplantation. W.P. Unger and R.M. Shapiro, eds. Marcel Dekker: New York, 2004; 367. 19. Beehner, M. Graft Survival, Growth, and Healing Studies. In: Hair Transplantation. W.P. Unger and R.M. Shapiro, eds. Marcel Dekker: New York, 2004; 278. 20. Hwang, S., et al. Evaluation of regeneration of transected hair follicles at 3 different levels. Presented at the 2002 Annual Scientific Meeting of the ISHRS. Chicago, Illinois. 21. Rassman, W.R., et al. Follicular unit extraction: Minimally invasive surgery for hair transplantation. Dermatol Surg. 2002; 28(8):720-27. 22. Bernstein, R, Rassman, W. Hair Transplant Forum Int’l, 2004, 14(3). 23. Yamamoto, K. Intra-operative monitoring of the follicular transection rate in follicular unit extraction. Hair Transplant Forum Int’l. 2008; 18(5):175-176. 24. Nagai, M. Difficulties associated with body hair transplantation: a study using the folliscope. Hair Transplant Forum Int’l. 2008; 18(3):103. 25. Onda M. Igawa, H. Inque, K., Tanino R. Novel Technique of Follicular Unit Extraction Hair Transplantation with a Powered Punching Device, Dermatol Surg 2008;34:1683-1688. 26. Neograft Press Release April 2010. 27. Perez D. Personal Communication May 2010. 30. Harris J. New Methodology and Instrumentation for Follicular Unit Extraction: Lower Follicle Transection Rates and Expanded Patient Candidacy, Dermatol Surg 2006;32:56-62. 31. DiStefano M. Follicular Unit Extraction: State of the Art methodology and Instrumentatiion; Denver Colorado April 21, 2006, Hair Transplant Forum Int’l 16 (4):131. 32. Harris J. Personal Communication September 2009. 33. Harris J. Personal Communication June 2010. 35. Wasserbauer S. Personal Communication May 2010. 36. Cole J. Follicular Isolation Technique, Torino, Italy 2004. 38. Korea Dermatology Society, 43. 39. Ng B. Pathomavanich D. Follicular unit extraction: experience in the Chinese population 2009 19 (1): 14. 40. Beehner M. Stress Factors and Hair Survival, Orlando Live Surgery Workshop, 2003. 41. Cole J. Repair surgery of old plugs with FUE, October 2003 and Italian Society of Hair restoration surgery 2004. 42. Cole J. Donor area stretch back study, ISHRS meeting, Chicago, Illinois, 2002. 43. True R. Personal Communication, December 2010. 44. Wolf B. Personal Communication, April 2011. 45. Harris J. Personal Communication, April 2011.